Levin (1995). The Challenge of Leadership. Hyslop-Margison (2001). Assessment of Historical Arguments in Vocational Education Reform. Wallace (2004). Dealing with Digital Copyright Issues in Higher Education. Dennison (1995). 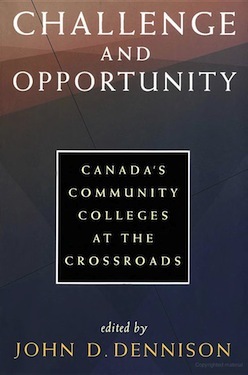 Community College Development in Canada since 1985. Hayhoe (1992). Universities, Cultural Identity, and Democracy.